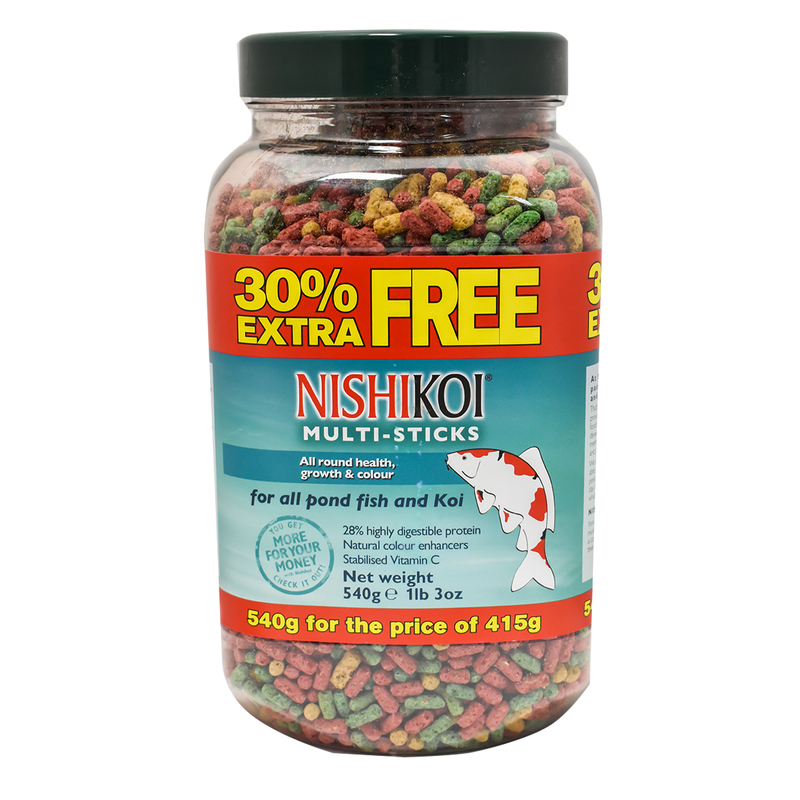 Nishikoi Multi-Sticks are a complimentary mix of floating sticks for all pond fish. Pond fish are more active in the warmer weather and that is when a good, complete and balanced diet is needed as it helps to enhance their colour and health. Nishikoi Multi sticks is a highly digestible food with a blend of ingredients to satisfy a wide range of pond fish including goldfish, koi, orfe and shubunkins. Formulation includes spirulina, astaxanthin and canthaxanthin for colour and Stabilised Vitamin C for health.